I found The Best that I CAN BE I first found it in Hardcover with a CD. Then I found it in paperback, this one didn’t come with a CD and Julie is added to the book. In this photo, the top book is the hardcover, the bottom is paperback. They put a graphic of Julie in the book, in place of Molly. I don’t know if there are any other differences, this one was obvious. This is my favorite. I have only seen Kit’s World and Samantha’s World in this format. If someone knows if there are others, I’d love to know. 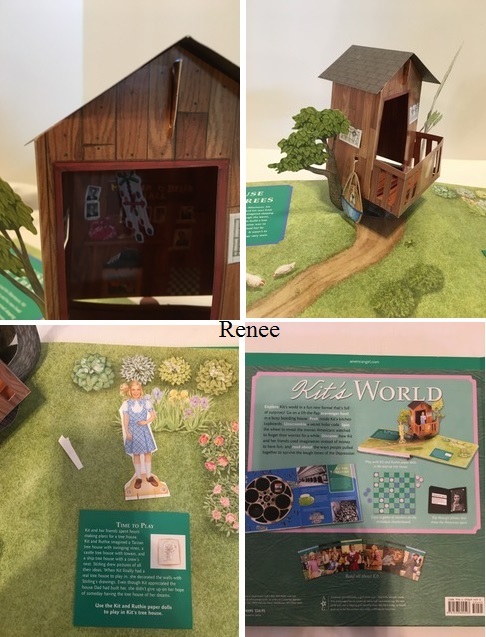 My daughters love this book, it provides more interaction for the kids than the newer, old ____ World books. The front cover has a pull tab to change the picture. 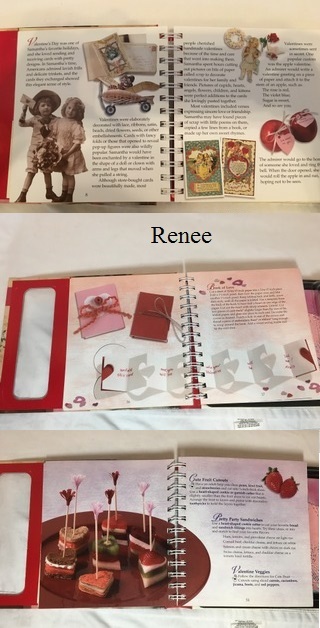 The rest of the pages have lift flaps, pull tabs or pop ups. There are little activities on the pages. This is Kit’s house, lift the roof flaps to see the rooms, and there is a scavenger hunt. I was lucky to find one that wasn’t used. It is a very nice book. There is history mixed in with crafts and food. 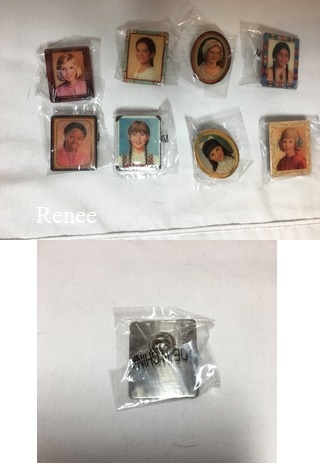 I found a box of Circle of Smiles pins on Goodwill auction. Doing some research, I found that they were a promotion item with Hallmark. Not sure but I thought it was for reading. Maybe someone knows more about this. 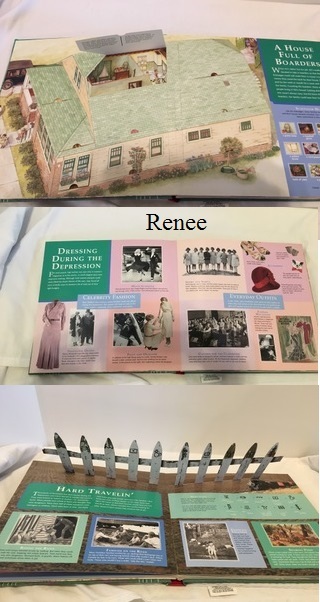 You got a project book from Hallmark, and there were little activities to do (Kirsten's was painting a spoon, Samantha was baking a type if cake etc. ), and after you completed each project you got it signed, and after you did all of them you got a certificate and necklace! It took place over the summer of 2002. 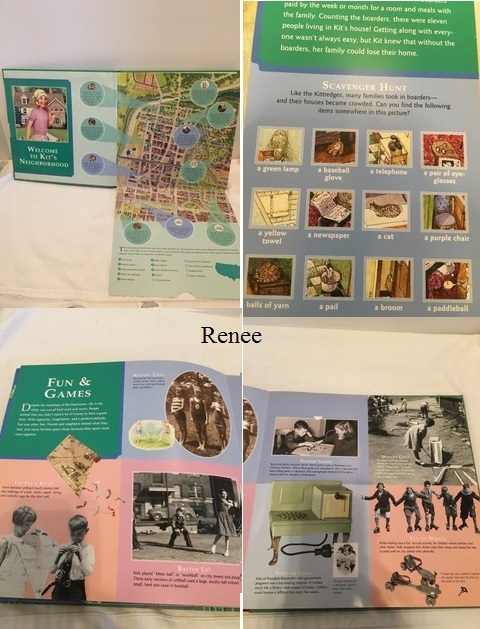 The hardback book looks like the characters are Kirsten, Samantha, Addy and Josefina. The paperback looks like the characters are Julie, Kaya, Felicity and Kit. These look so interesting! I have never seen these. I did have Samantha's World, but it looks nothing like yours! Love the pop up!!! Sorry for the confusion. 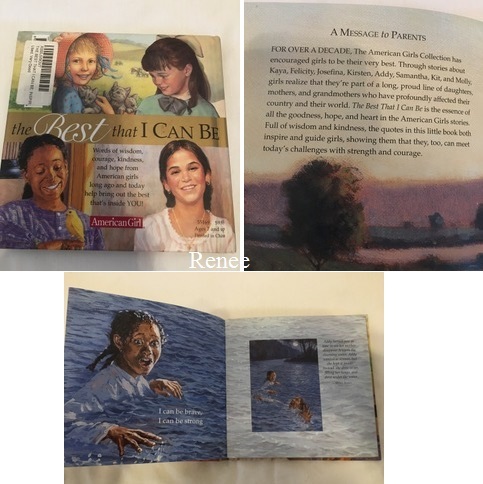 The hardcover book pictures are in the first and second grouping of pictures. The hardcover has the title in the middle of the book. So, Kirsten, Samantha, Addy and Josefina are on the back cover of the hardcover book. The paperback version placed Julie were Molly is. These are all great! Had no idea there were so many items sold during this this time in early 2000. Beautiful items to any AG collection.